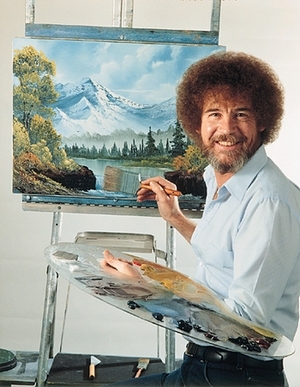 Bob Ross is easily one of our era’s favorite artists. He was born on October 29, 1942 in Daytona Beach, Florida. Before getting into art, Ross spent time in the military, but when he was working as a part-time bartender he had the chance to see oil painting on TV. He fell in love. I think it’s inspiring that he would chase his dream the way he did, doing something that brought him joy, and because of it, so many others experienced the joy of painting too. Next Next post: Why Art Talk’n?